Voss Resort is the largest ski center in Western-Norway. At Voss ski resort you will find 40km of groomed alpine slopes, from beginner areas to demanding runs for advanced skiers. 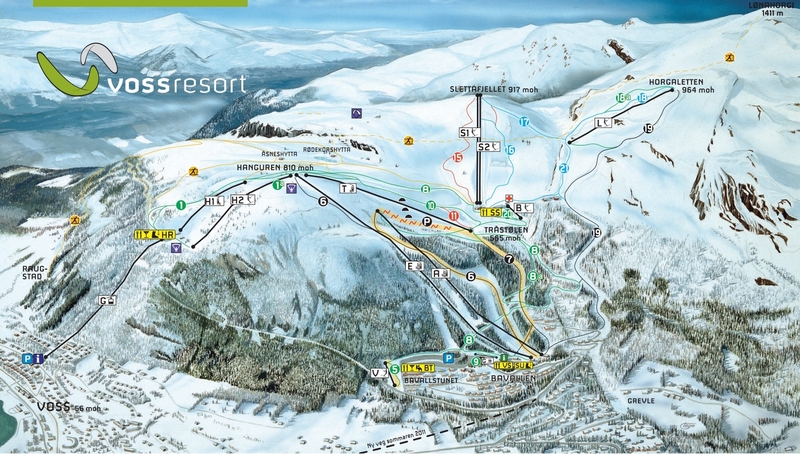 There are 12 ski lifts, including a gondola from the village, a snow park and children areas. Voss Resort Bavallstunet rents out modern, well-equipped cabins and flats all year round, just a few meters from the ski area.